2018 marked 100 years since Parliament passed a law which allowed the first women, and all men, to vote for the first time. 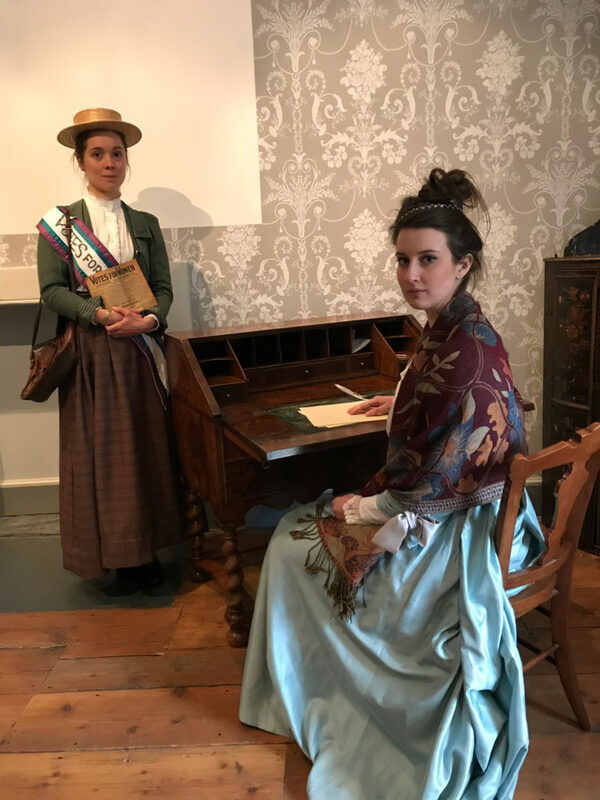 Bath Preservation Trust ran an exhibition and events throughout the year to mark the anniversary of the success of the Suffragette’s campaign. 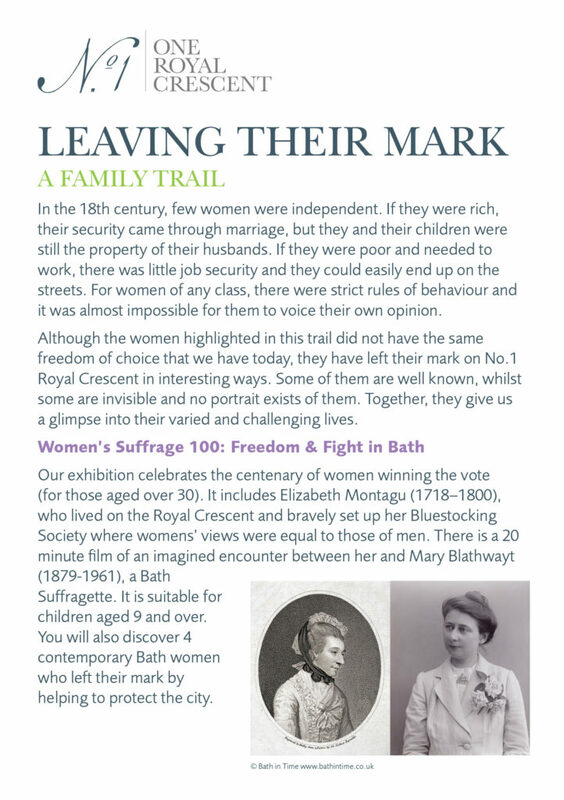 The story of the Suffragette’s Wood in Batheaston, planted by the Blathwayt family, was the starting point for an exploration of Bath based women from the 18th century to the present day who have made a stand for their beliefs. 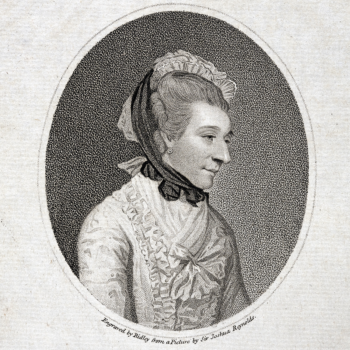 What would the 18th century founder of the Bluestocking Society talk to a 20th century Bath suffragette about? 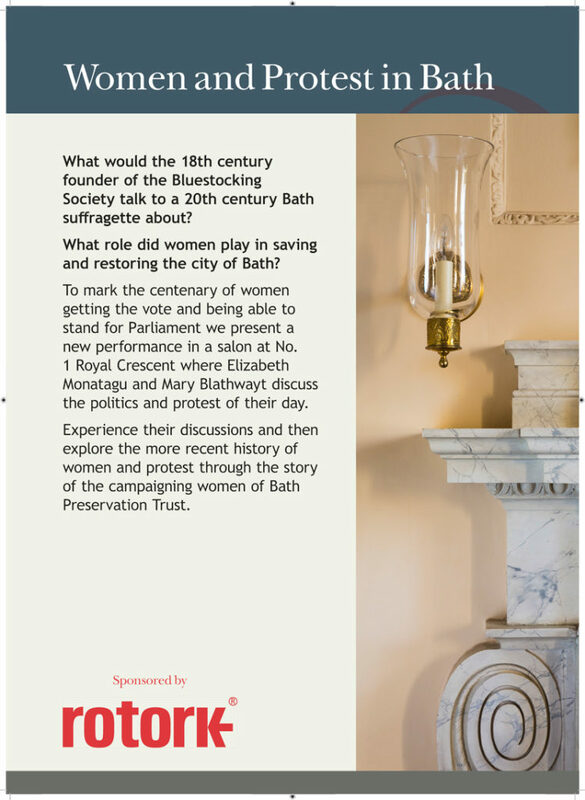 What role did women play in saving and restoring the city of Bath? To mark the centenary of women getting the vote and being able to stand for Parliament we present a new performance in a salon at No. 1 Royal Crescent where Elizabeth Monatagu and Mary Blathwayt discuss the politics and protest of their day. 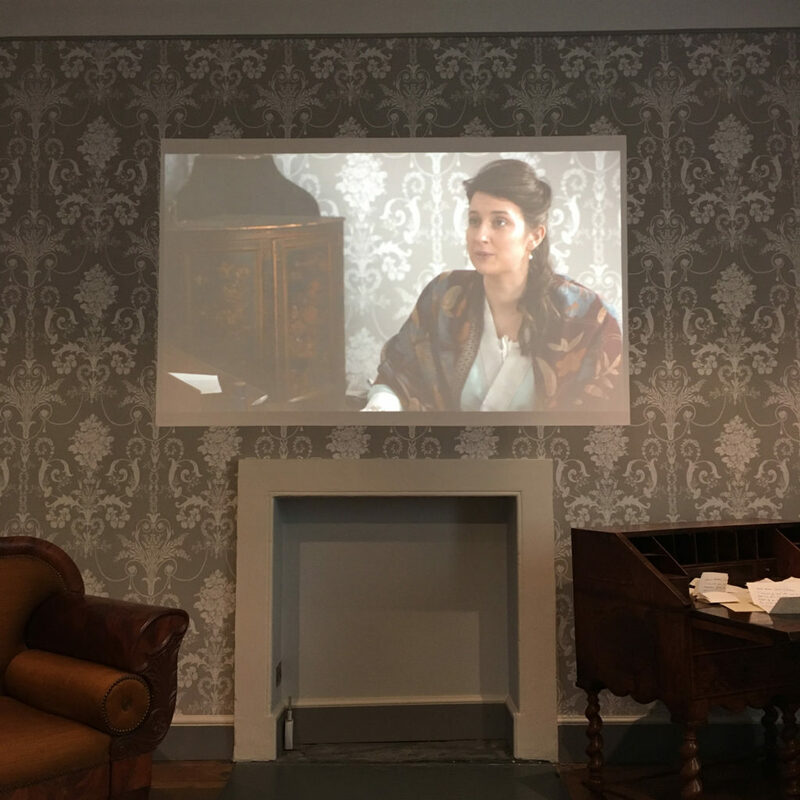 Experience their discussions and then explore the more recent history of women and protest through the story of the campaigning women of Bath Preservation Trust. 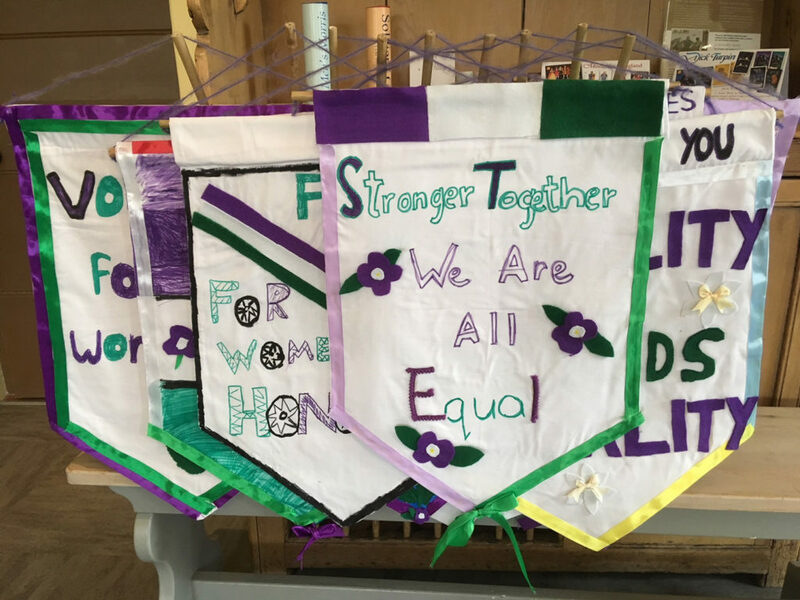 Over 6 weeks, a class of children aged 9 and 10 years met with older residents of Bath to explore the Bath Suffragettes’ story. They created their own rosettes and banners, designed a memorial garden and planted pots with themed flowers to mark the anniversary. The project culminated with a procession along the Royal Crescent. No. 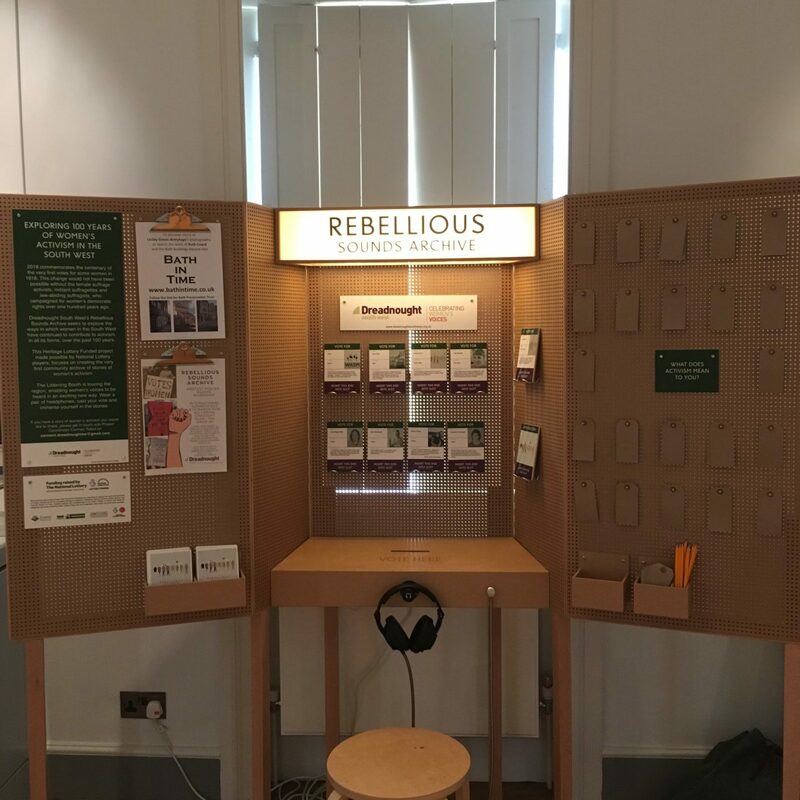 1 Royal Crescent hosted a touring project which enabled visitors to hear the ﬁrst community archive collection of oral histories about the activism of women in the South West. 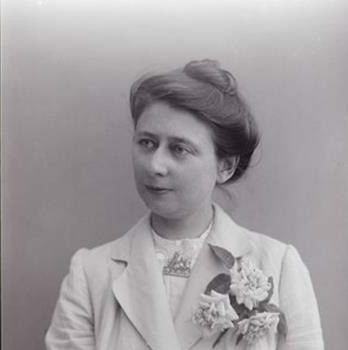 On the 100th anniversary of the right of women to stand for parliament, Bath’s first woman MP spoke in Elim Church, Bath ,on 23rd November 2018 on the journey towards equality of representation and the challenges ahead (1 hour 15 minutes).